Tracy Archuleta is off to the fastest pace of any USI baseball coach in the history of the program. Archuleta has won 79 games in two seasons at the helm and taken the squad back into the regional and national spotlight. Archuleta's first Eagles team made their first appearance in the final four of the NCAA Division II Baseball Championship and won their first ever NCAA Division II North Central Regional championship. USI also set a school record by posting 43 victories, 25 wins better than the year before. The Eagles and Archuleta finished their first season together ranked fourth nationally; had a 43-23 overall record; and 24-15 in the GLVC. USI placed second in the GLVC regular season and fourth in the conference tournament. 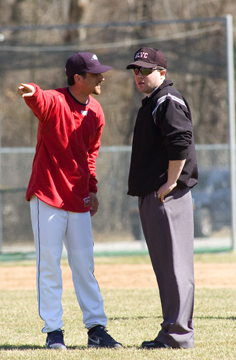 For his efforts, Archuleta was named the ABCA North Central Region Coach of the Year in 2007. In the second season, Archuleta and the Eagles won their first GLVC West Division and the first conference regular season title in 15 years. USI finished the year with 36 victories during the regular schedule, tying for third all-time in the history of the program. 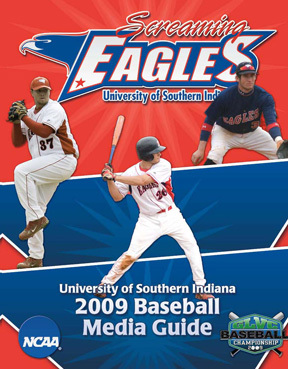 The Eagles also were ranked as high as sixth nationally in 2008. Archuleta came to USI after five seasons at the University of Wisconsin-Parkside that featured a pair of NCAA Division II Tournament appearances and a pair of 40-win seasons. UW-Parkside also advanced to the NCAA II North Central Regional title game in 2005 and was 148-124 (.544) during Archuleta's tenure. After setting the foundation during his first two years, Archuleta directed the Rangers into the national spotlight with a 41-18 season in 2004, finishing on top of the GLVC standings and earning the school's first-ever NCAA II Tournament bid. Between 2002 and 2004, UW-Parkside went from 13 wins to 41 wins. Archuleta's Rangers continued their march in 2005, this time with a 45-18 record, picking up the school's first GLVC baseball championship along the way. Again, the club made the NCAA II Tournament, reaching the regional championship game. 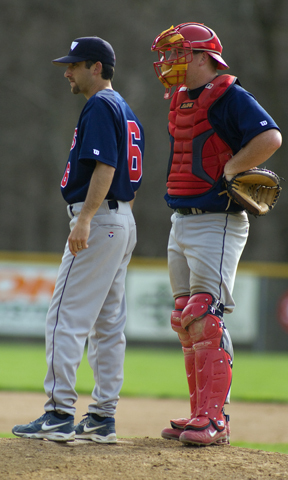 The 2005 team broke the school record for wins in a season, set by the 2004 squad. In each of those two seasons, the Rangers finished among the top 25 teams in the nation. In his tenure at UW-Parkside, Archuleta coached the Rangers first All-American, Regional Player of the Year, GLVC Player of the Year, and he had two players sign professional contracts and 11 players earn All-Region honors. He was tabbed GLVC Coach of the Year in 2004. Archuleta served as an assistant coach for five seasons at Wayne State College (Nebraska) and Central Missouri State University at the NCAA II level before taking the top spot at UW-Parkside. At Wayne State, he was the infield coach, hitting coach, and recruiting coordinator on the team that captured its first NSIC championship and NCAA II regional birth in the 2001 season. Archuleta helped guide the team's batting average to 25th in the country (2000) and, in 2001, the squad was third in the country in fielding percentage (.969). In 2001, Wayne State finished 26th in the country with a record of 35-10. During his tenure at CMSU, the Mules won the regular season conference championship with a record of 20-1 and were ranked as high as fifth in the nation. The team picked up an NCAA tournament bid and finished 16th in the country with a 43-10 mark. Archuleta was CMSU's outfield coach and recruiting coordinator. He also assisted the hitters. The native of Iliff, Colorado, earned a Bachelor of Arts degree from Metropolitan State College of Denver and has a master's degree in education from Wayne State College. He has three children, Mikaela, 14, Alex, 8, and Samuel, 5.